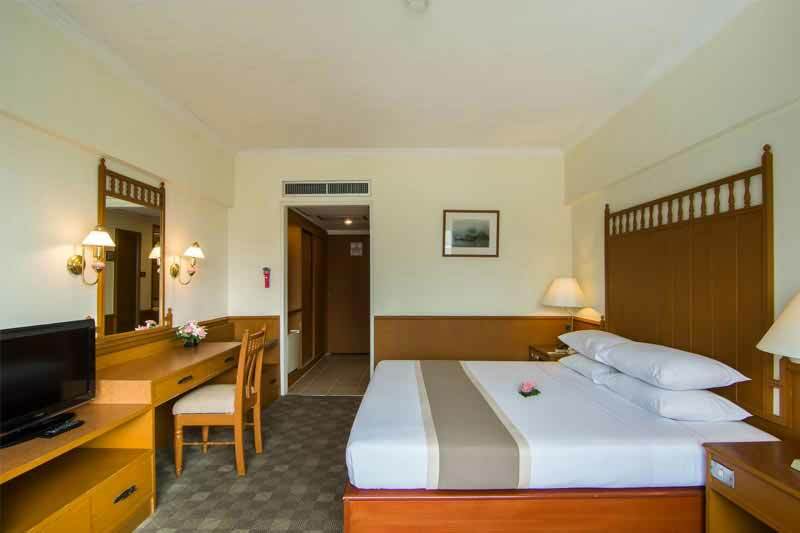 This hotel is conveniently situated close to various markets and the shopping precinct of Pratunam. 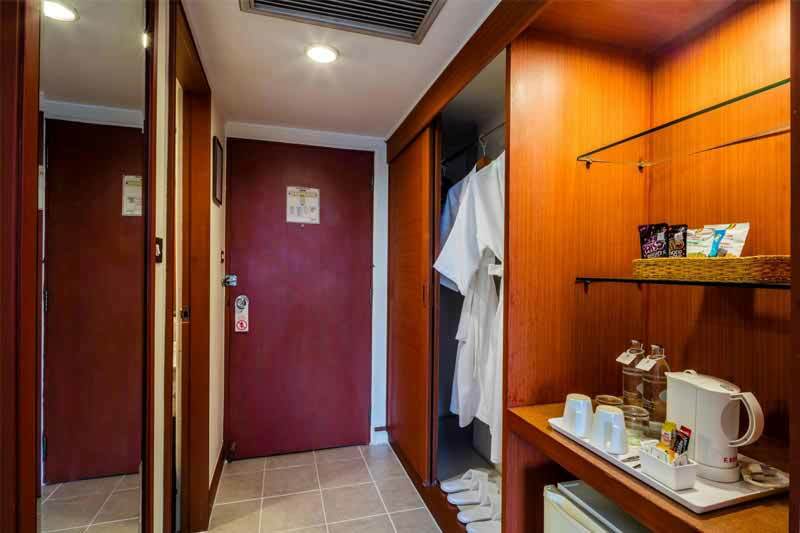 The rooms are fairly clean and include complimentary tea/coffee maker and free water bottles. 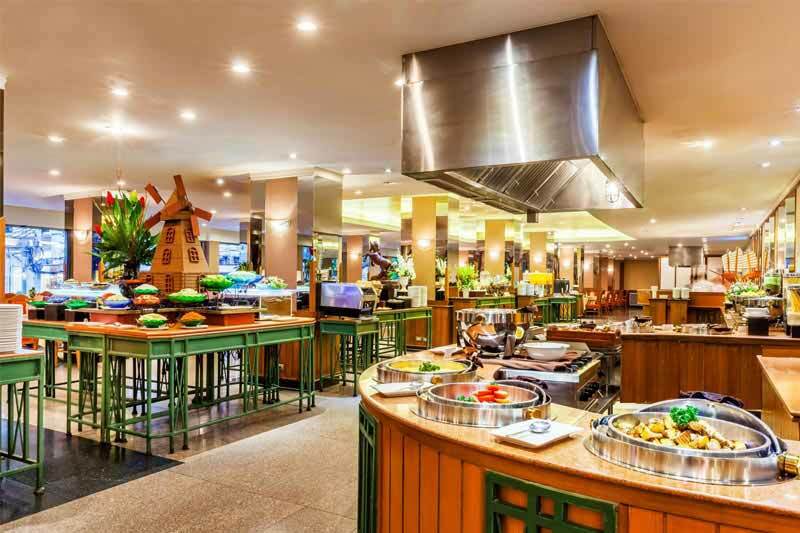 As a guest, you will appreciate the quick and hassle free check-in and check-out process along with the delicious breakfast served in the mornings. 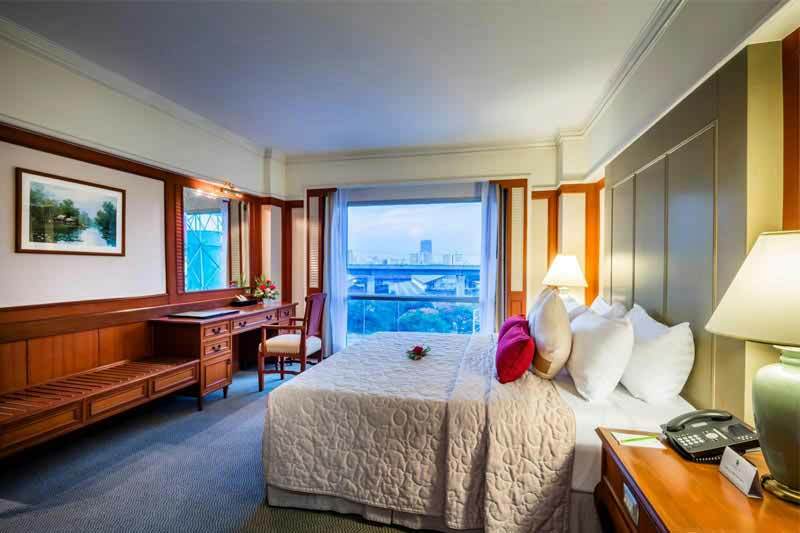 Bangkok Palace Hotel is a 4-star hotel, located in the prominent Pratunam area in Bangkok. 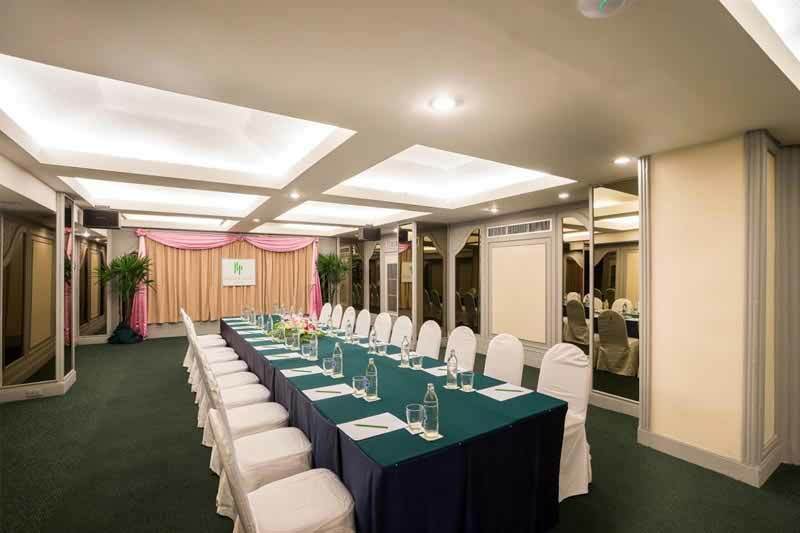 The hotel offers a plethora of services and facilities to its guests, while its proximal distance from Makkasan railway station provides the opportunity to freely explore Bangkok. 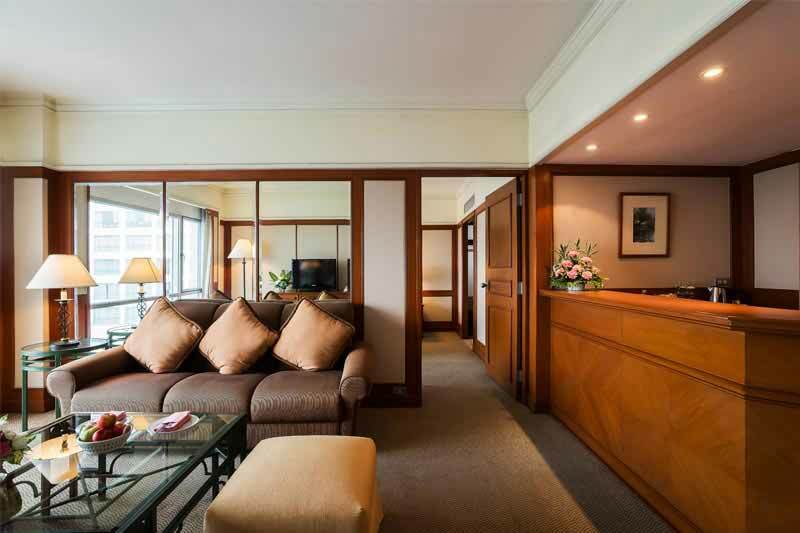 Bangkok Palace Hotel is an ideal accommodation for corporate guests as well as leisure travelers. 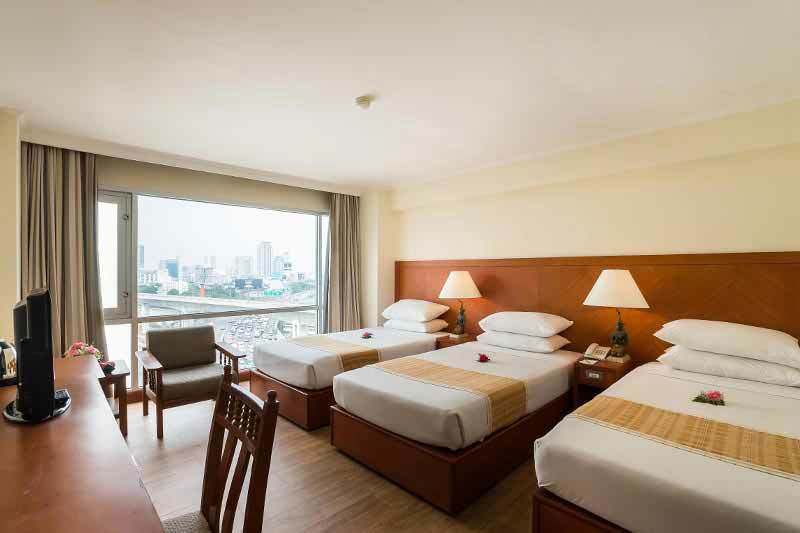 This hotel is an instant-favourite among people who are looking for a place where comfort meets convenience. 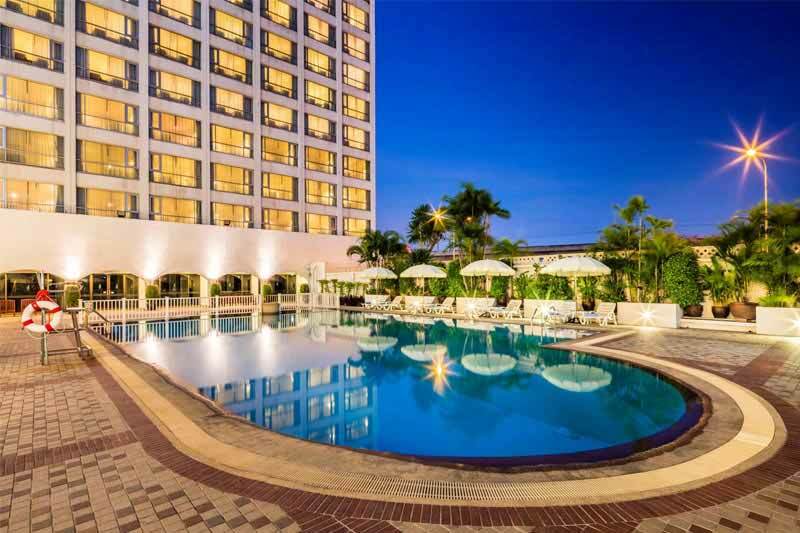 Along with all the essential amenities, guests are offered the opportunity to enjoy a refreshing dip in the large outdoor pool of the hotel or engage in a challenging workout at the fitness centre. 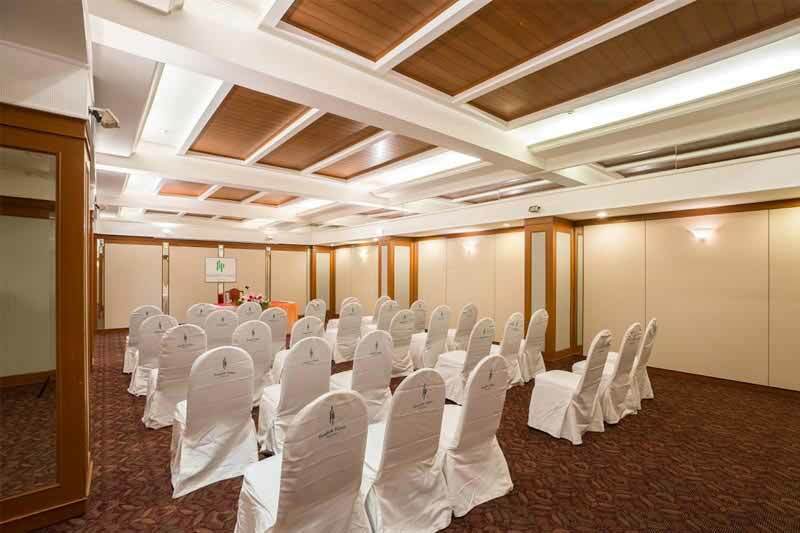 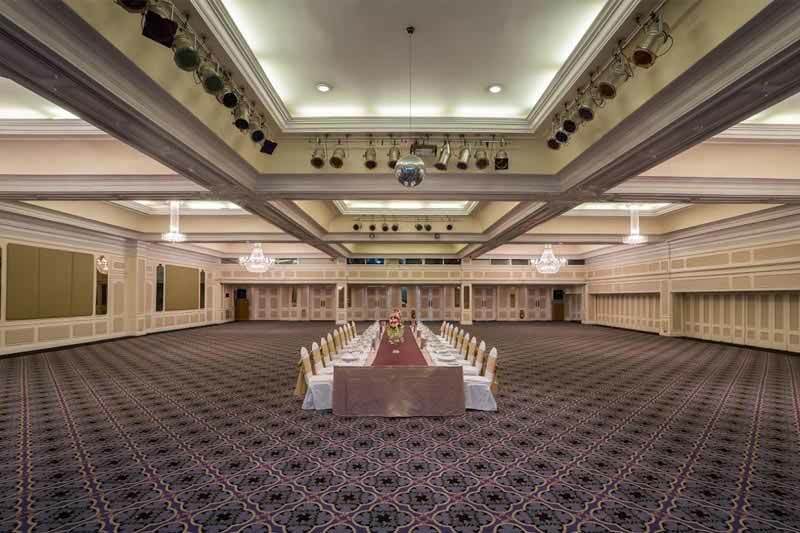 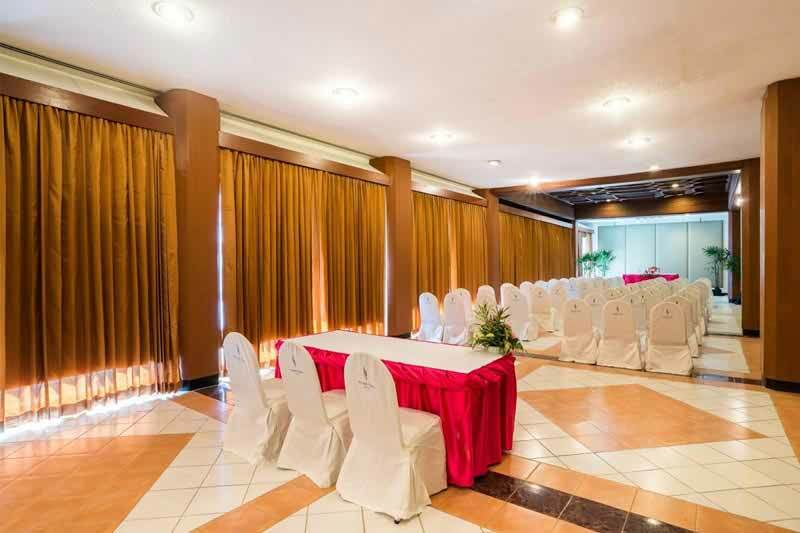 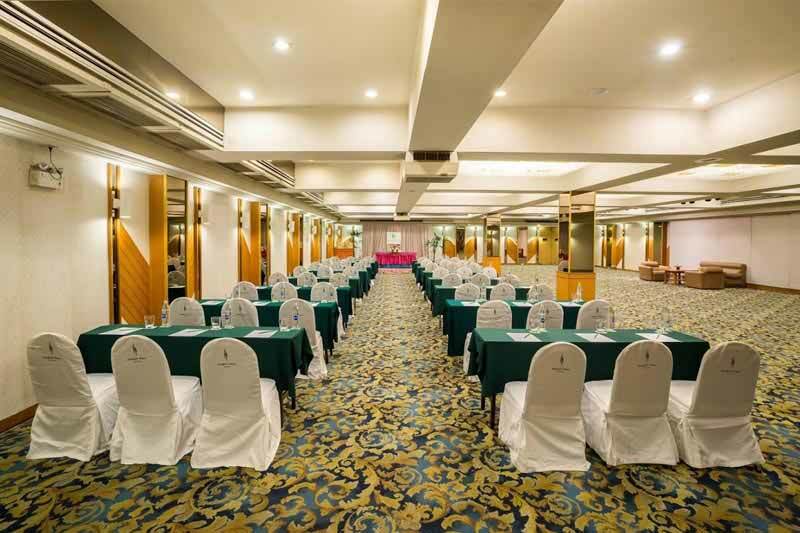 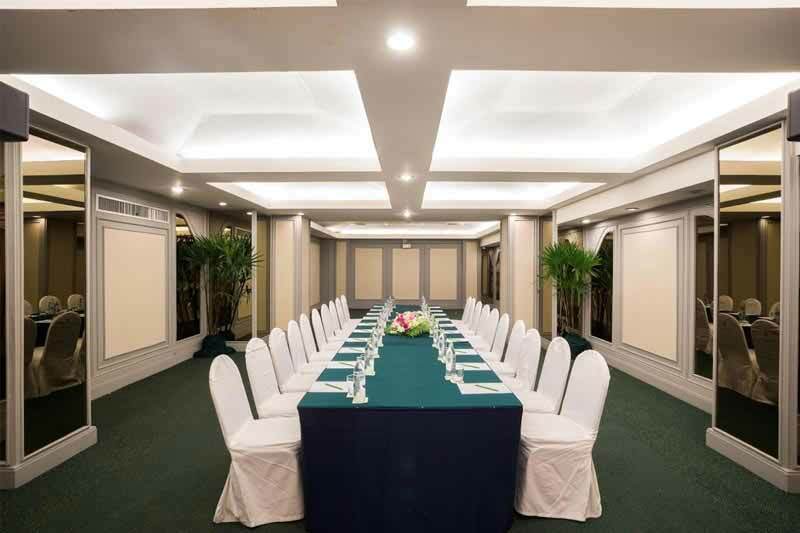 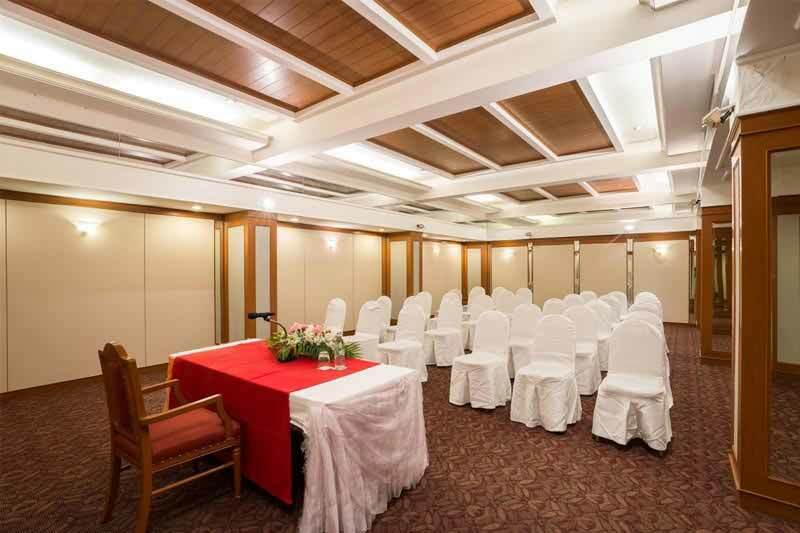 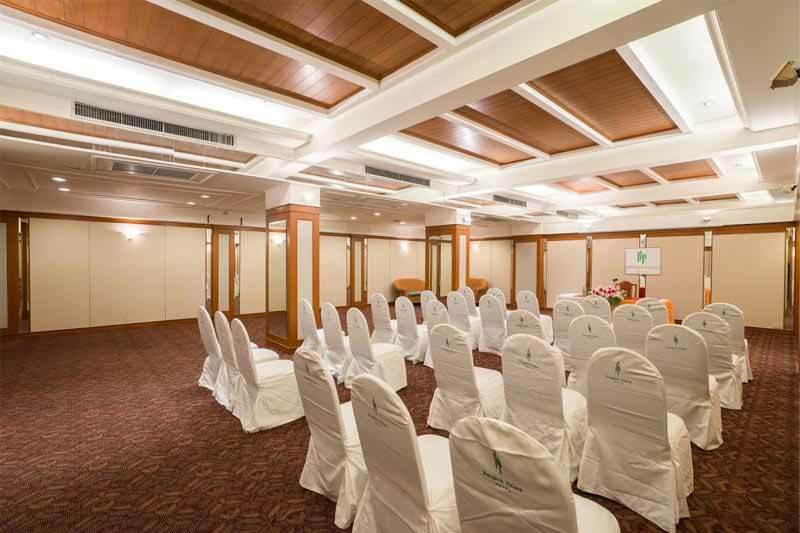 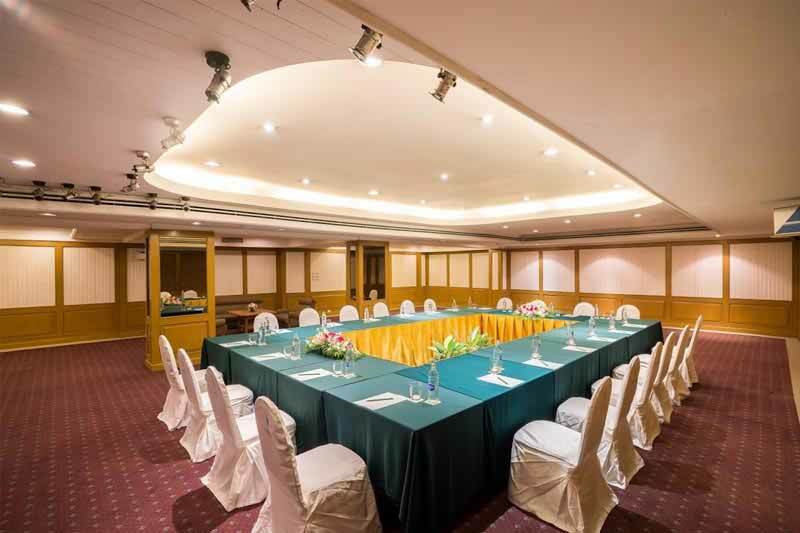 The hotel also features a well-equipped business centre and spacious banquet rooms for holding business events and parties. 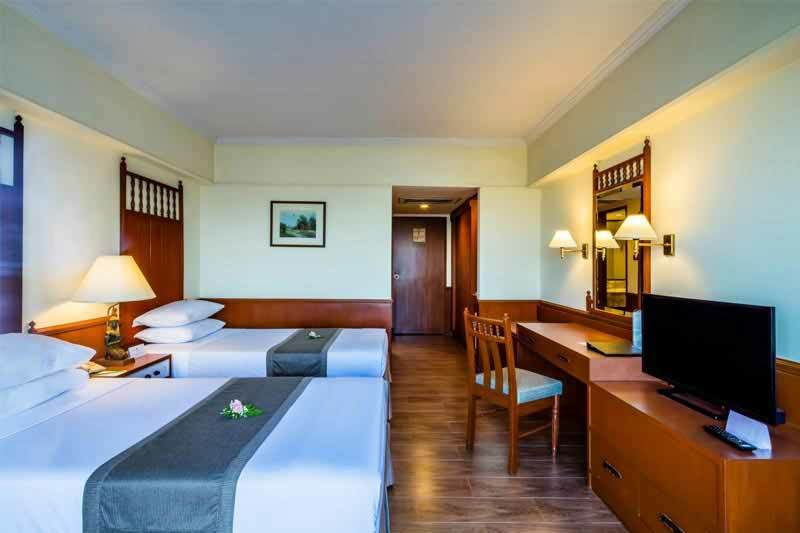 The close location of Bangkok Palace Hotel from Pratunam Wholesale Market and Suan Lum Night Bazaar ensures a delightful experience to shopaholics. 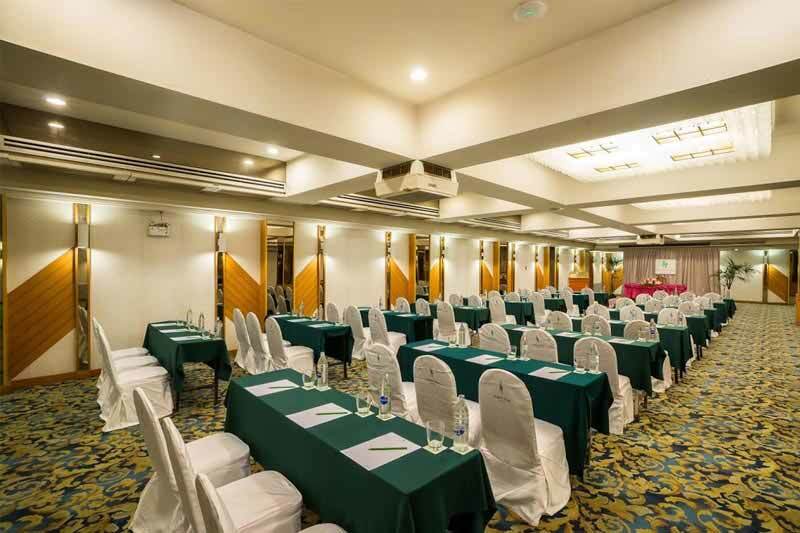 The hotel is just 19.0 km from Don Mueang International Airport and 23.0 Km from Suvarnabhumi International Airport. 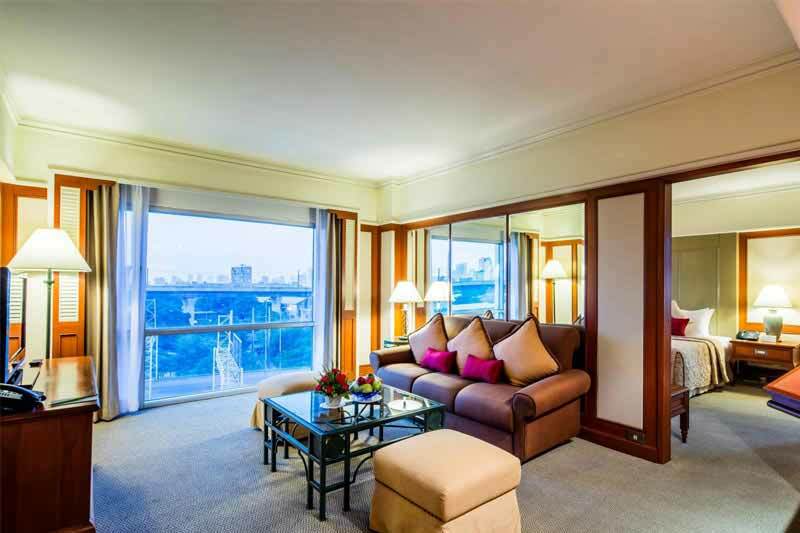 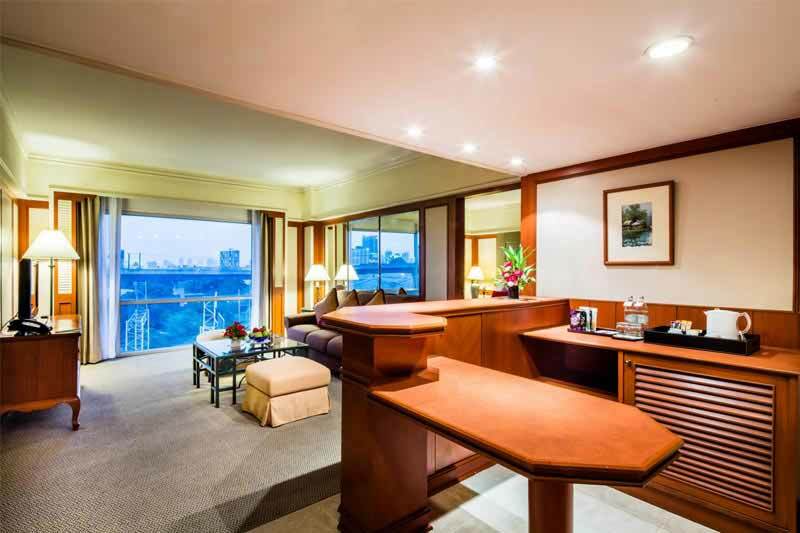 Bangkok Palace Hotel houses 668 luxurious and modern furnished accommodation units. 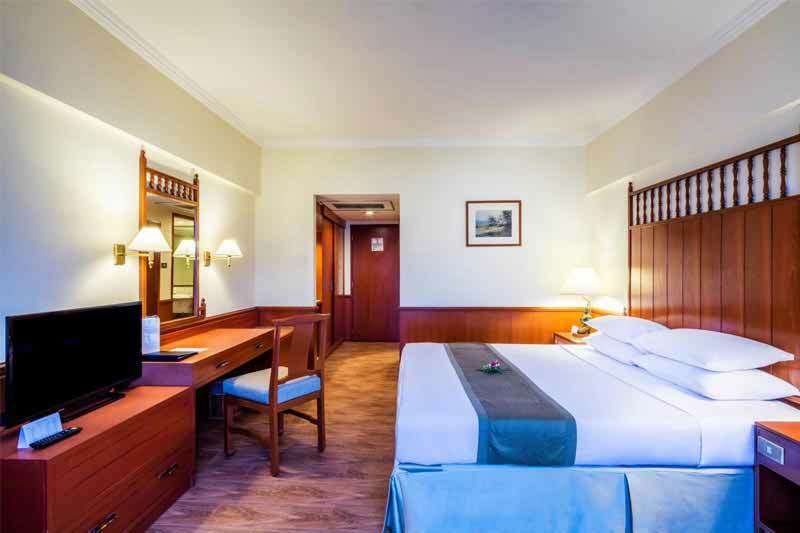 The hotel offers modern furnished rooms that are ideal for a restful and rejuvenating stay after a hectic day of local sightseeing. 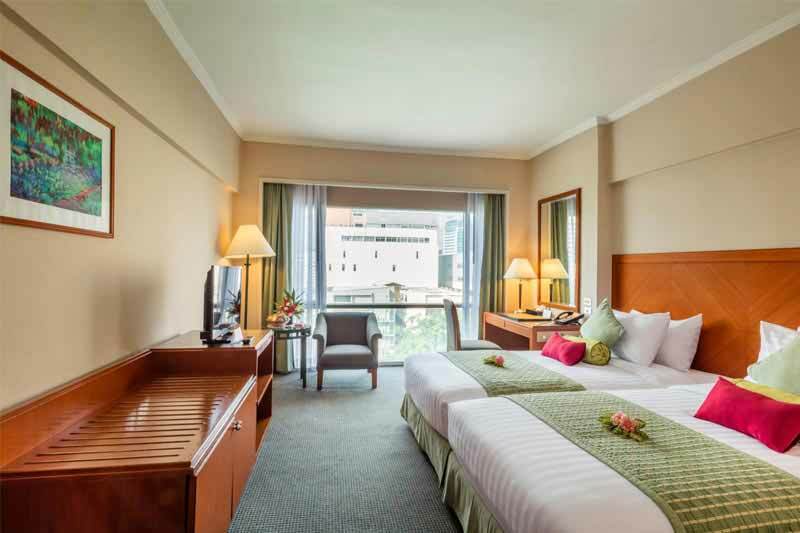 The four categories of the rooms include Superior Room, Deluxe Room, Executive Room and Junior Suite. 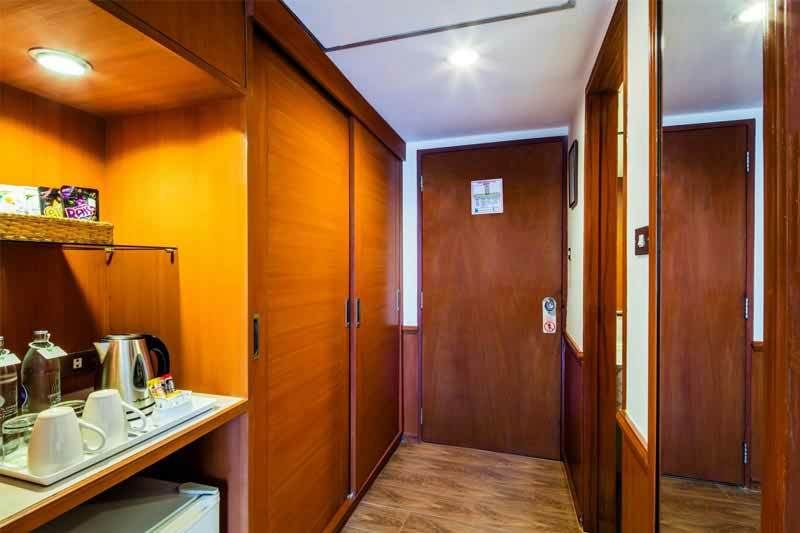 All the rooms are well-equipped with basic amenities that include an IDD phone, cable satellite TV, mini-bar, air conditioner, closet and coffee/tea maker. 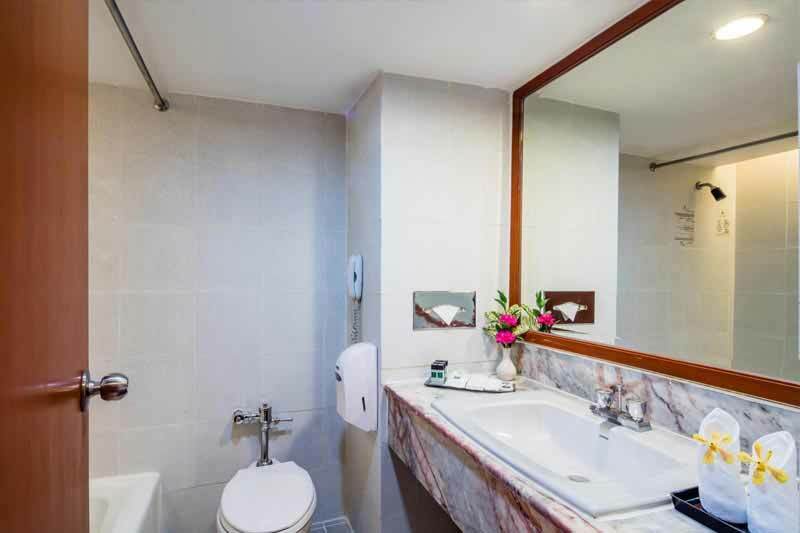 The rooms also have en-suite bathroom with a bathtub and free toiletries. 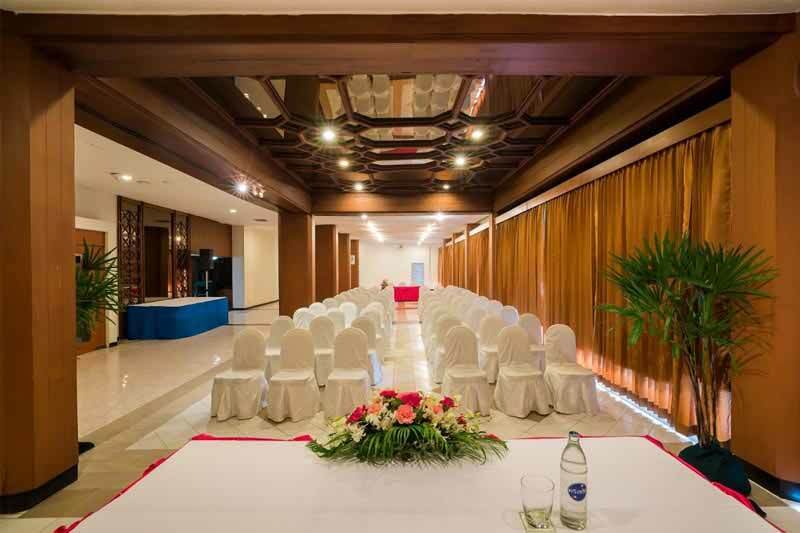 Guests are also provided the facility of complimentary Wi-Fi in their room. 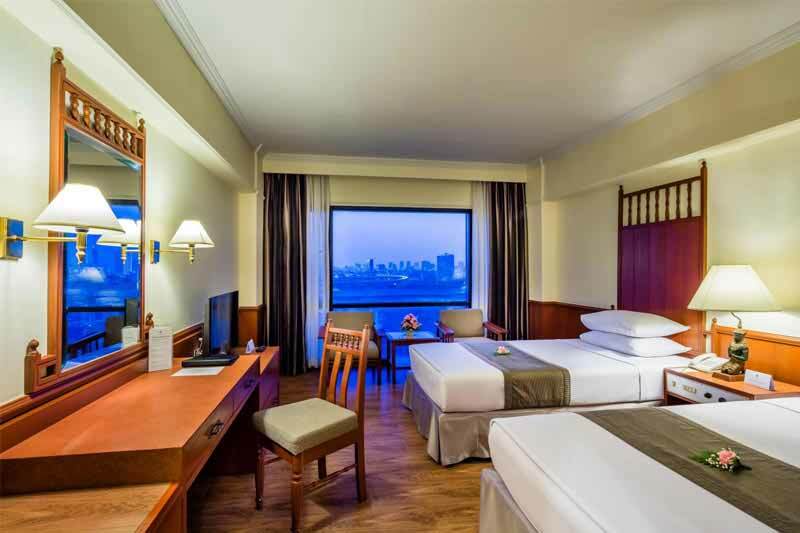 Bangkok Palace Hotel features a number of facilities and services that ensure a comfortable stay to its guests. 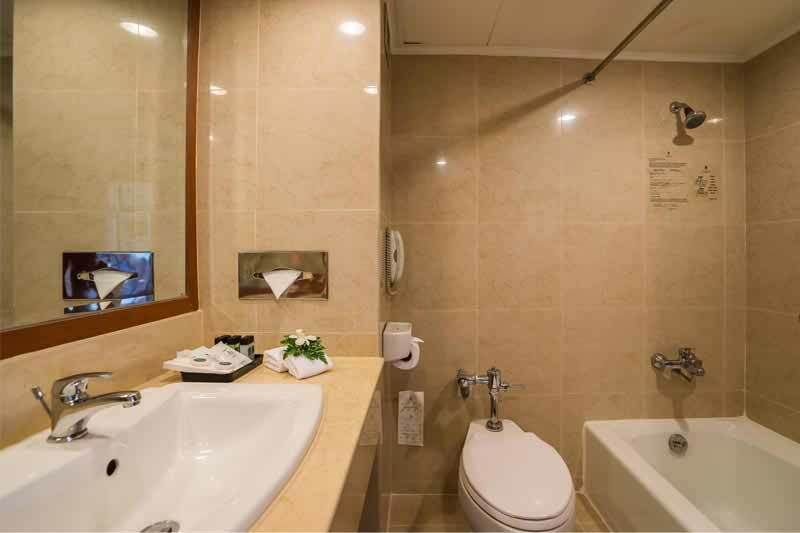 Guests staying here have the opportunity to indulge in a variety of recreational facilities, such as the massage room, swimming pool, and fitness centre. 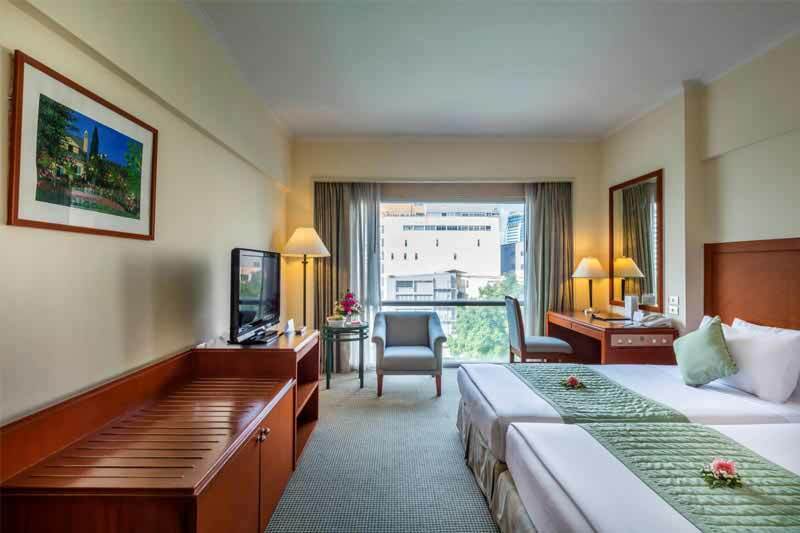 As an added luxury, the hotel also features an on-site shopping arcade, book shop, business centre and beauty salon. 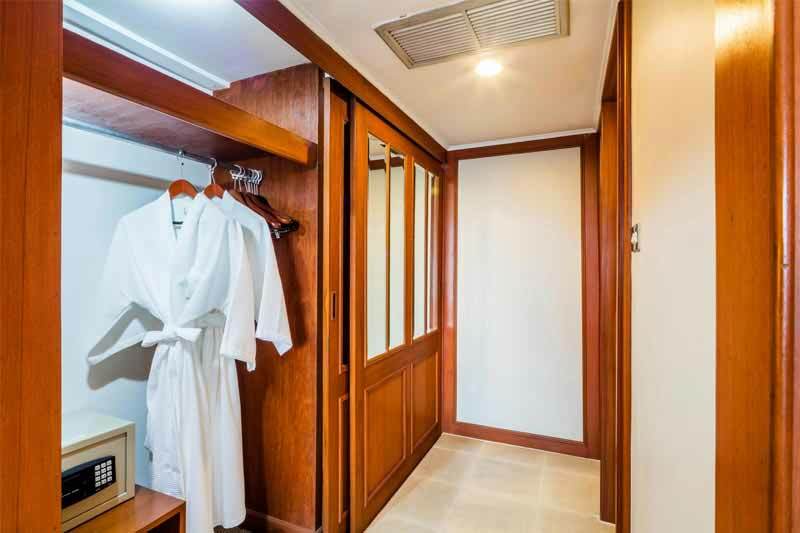 For a relaxing experience, the hotel also provides the facility of a sauna room. 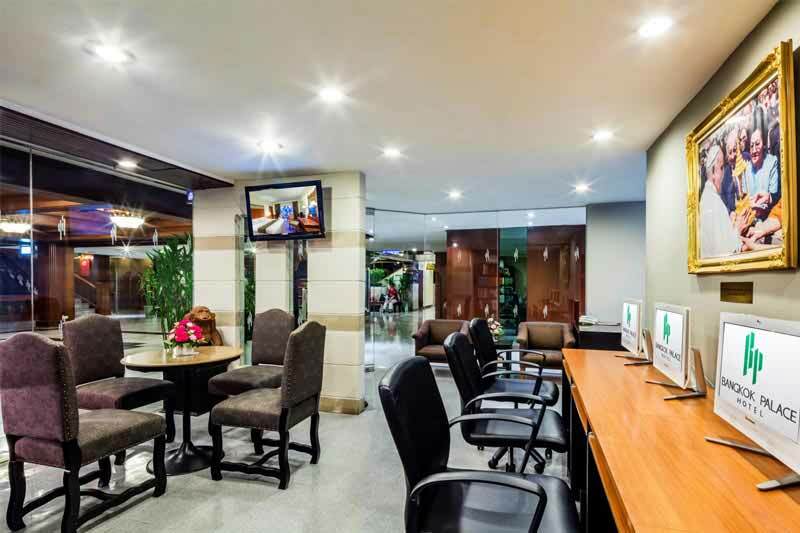 Further, the hotel maintains a parking area, 24-hour front desk and currency exchange counters. 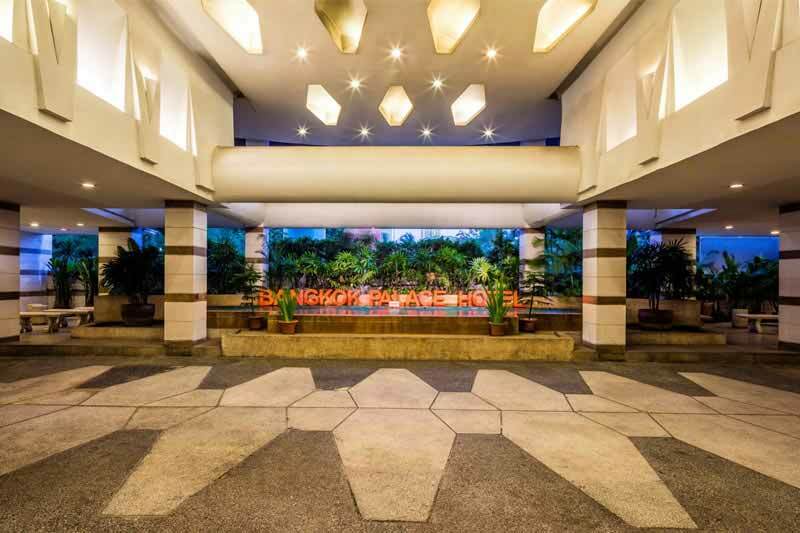 Guests can also ask at the tour desk to make arrangements for local sightseeing. 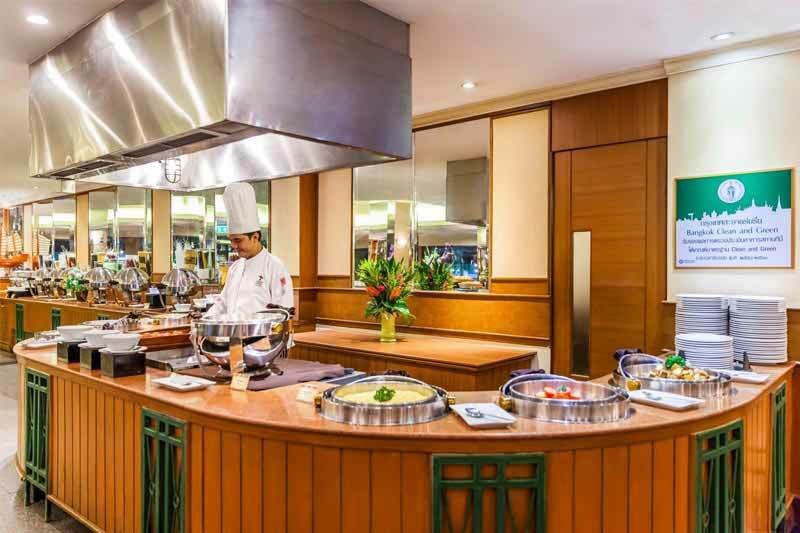 During their stay at Bangkok Palace Hotel, guests have the opportunity to indulge in a gastronomic affair at the on-site restaurant, bakery, and bar. 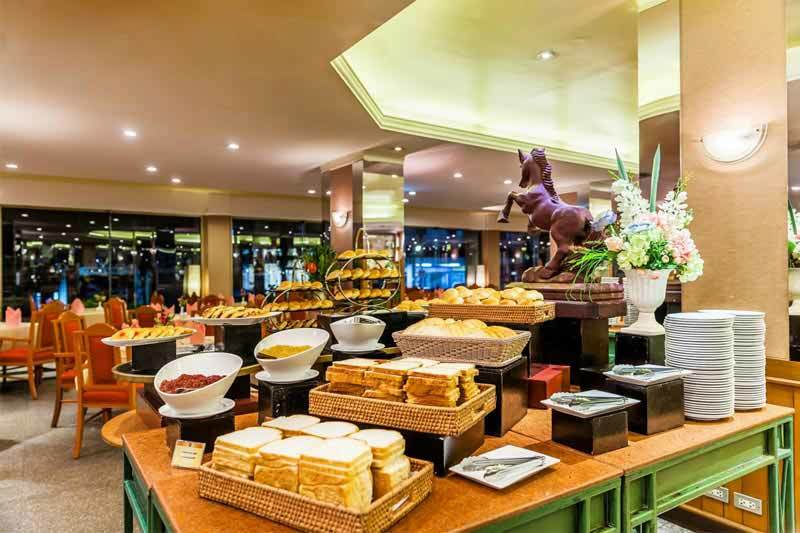 The hotel offers three on-site dining options, namely Makkasan Restaurant, Lobby Bar and Palace Bakery. 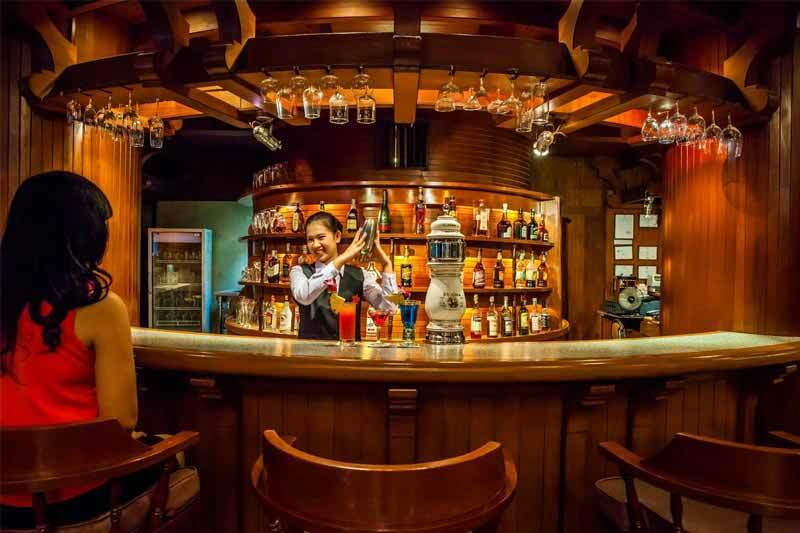 Makkasan is a 24x7 restaurant, where one can enjoy a wide selection of traditional Thai cuisine. 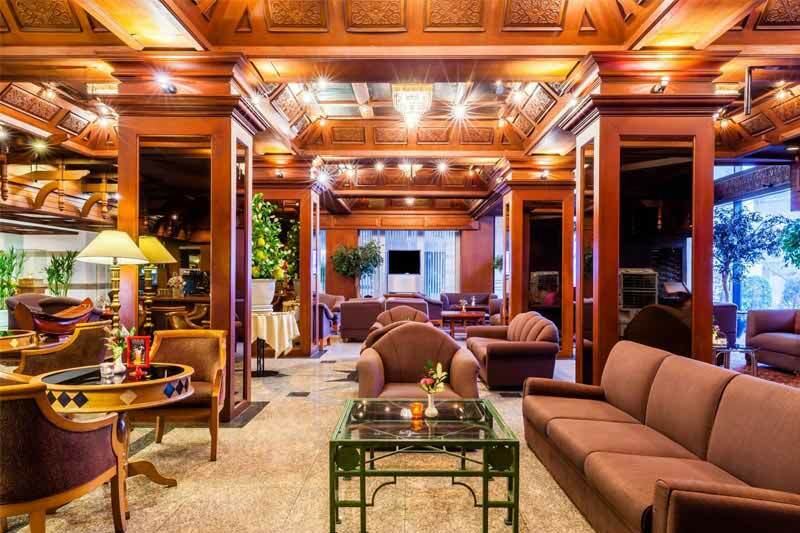 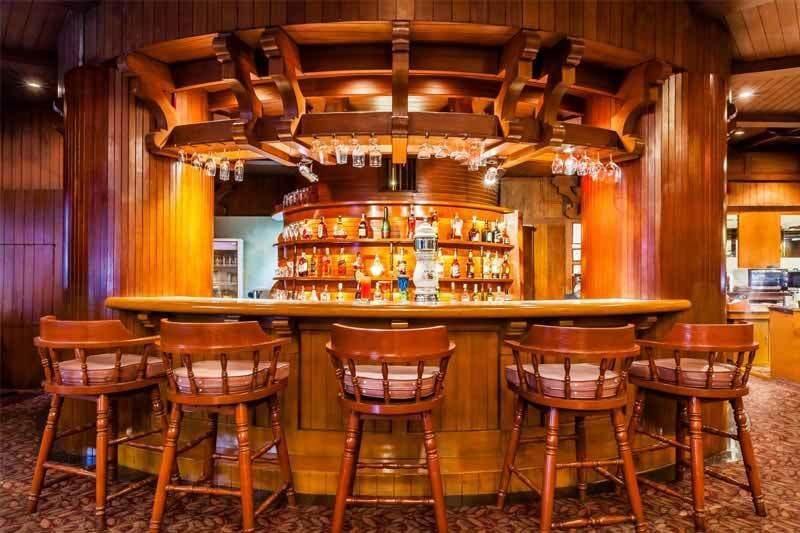 Lobby Bar poses as an ideal destination to enjoy sizzling cocktails or drinks with light meals. 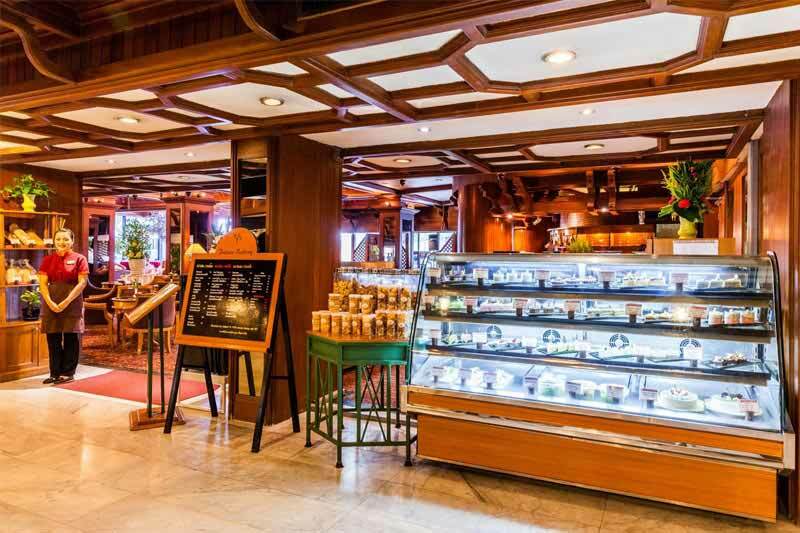 People with a sweet tooth should not miss out on the homemade pastries, and freshly baked cakes and desserts served at the Palace Bakery. 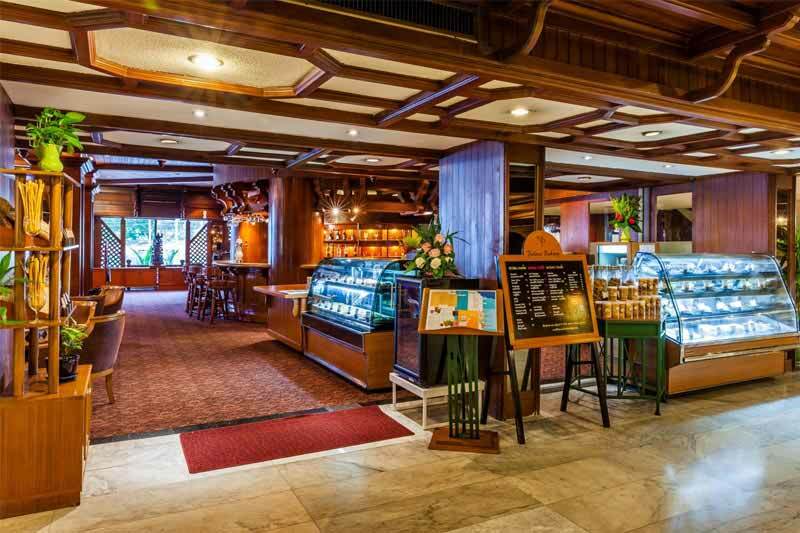 Guests can also enjoy coffee, tea or fruit juices at this bakery. 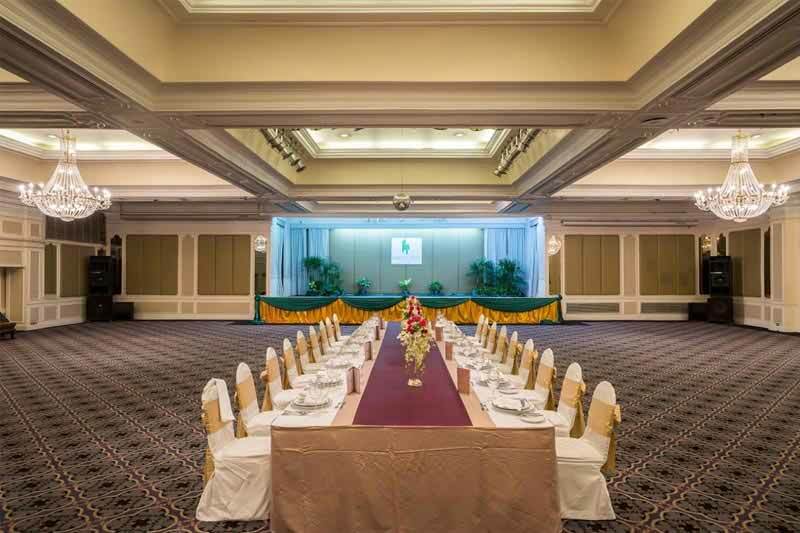 Bangkok Palace Hotel offers a truly phenomenal experience to its guests. 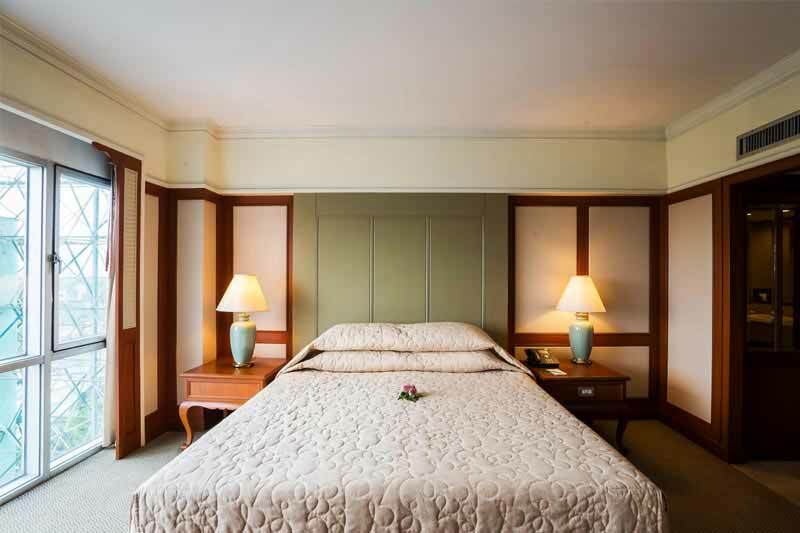 The elegantly designed rooms and suites offer a premier setting for visitors. 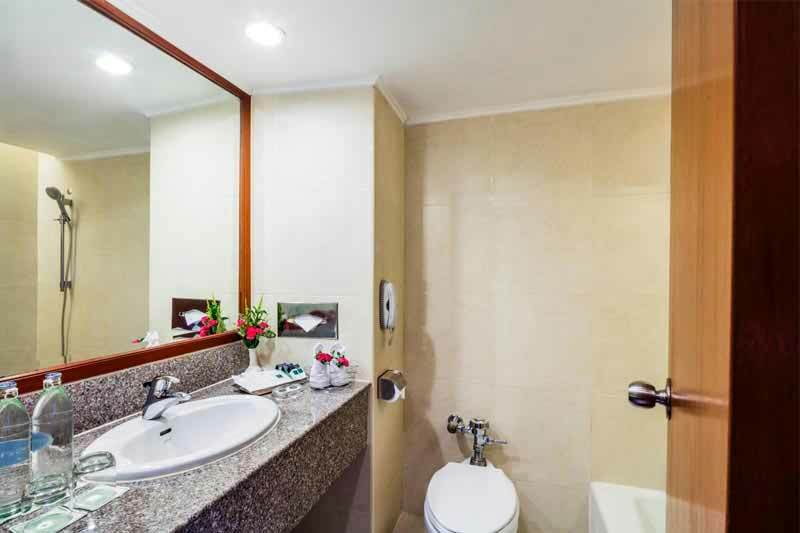 These well-appointed rooms come with various amenities, making them ideal for solo travelers as wells as couples and family travelers. 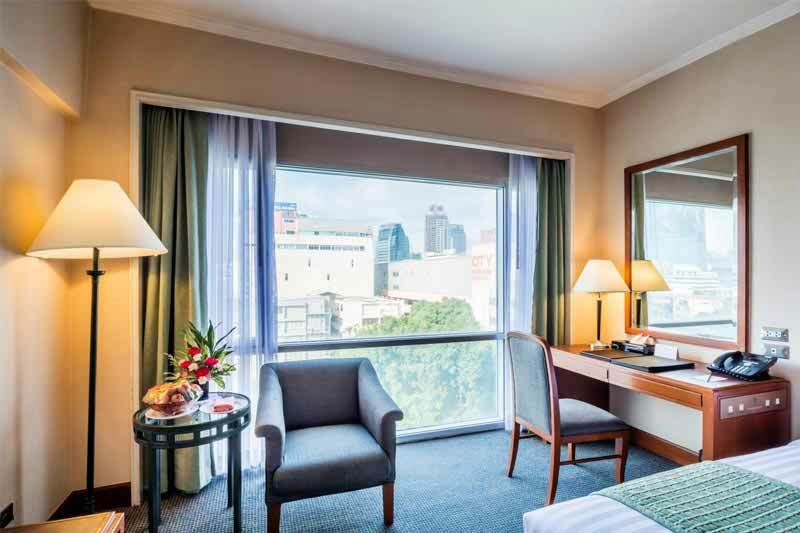 The strategically close location of Bangkok Palace Hotel from popular tourists, shopping, and entertainment destinations makes it a suitable accommodation for people who wish to indulge in the local flavor of Bangkok. 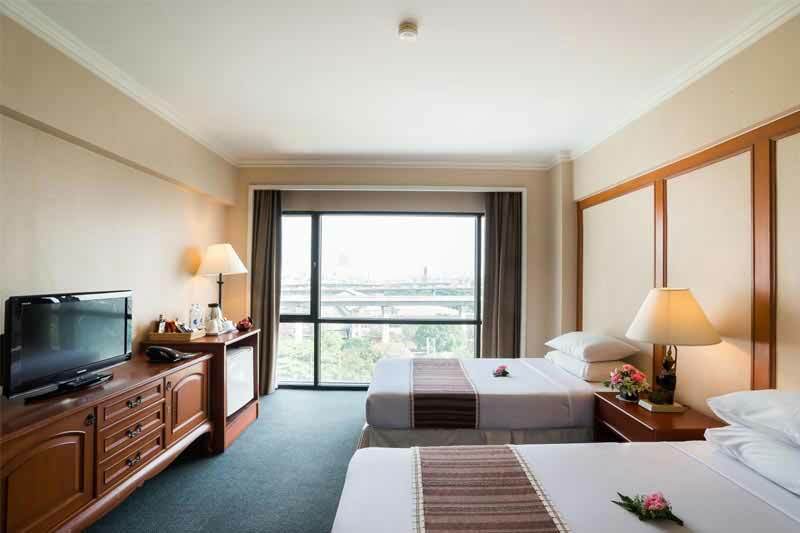 Bangkok Palace Hotel is around 23.0 km from Suvarnabhumi International Airport. 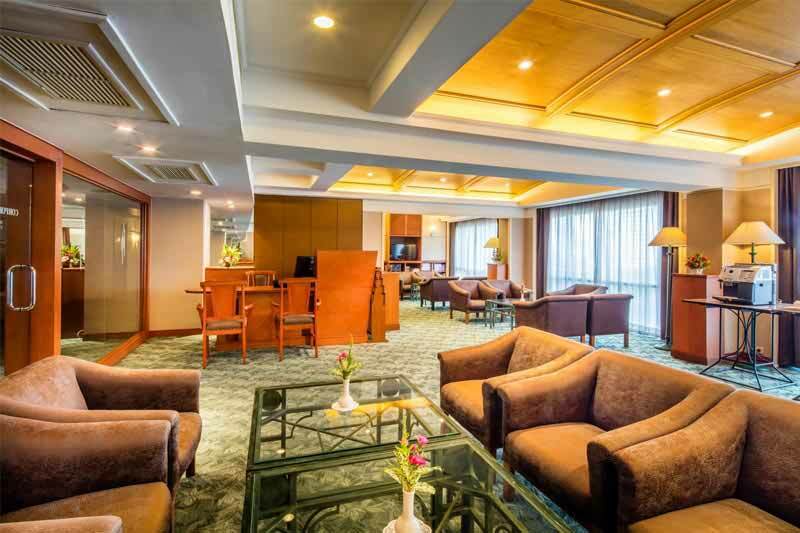 Does the hotel offer a babysitting service? 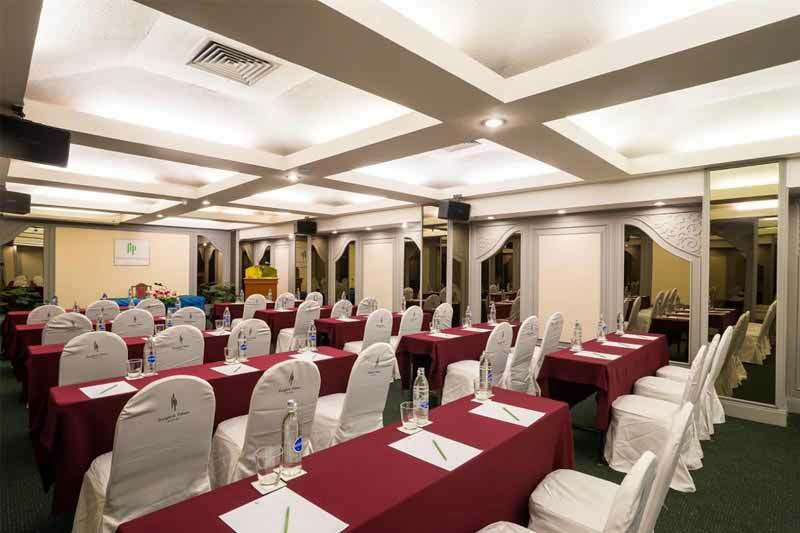 Yes, the hotel can arrange for babysitting service for the comfort of family travelers. 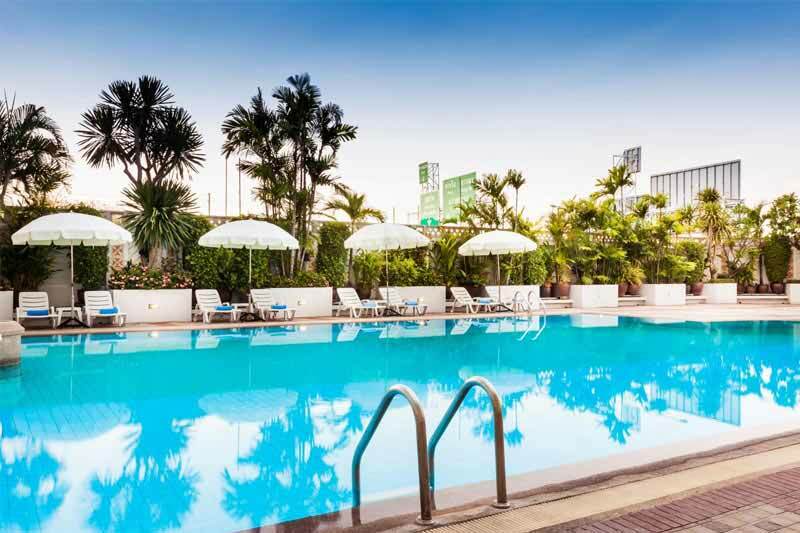 Bangkok Palace Hotel features various facilities that ensure a delightful experience, such as an outdoor pool, night club and sauna room. 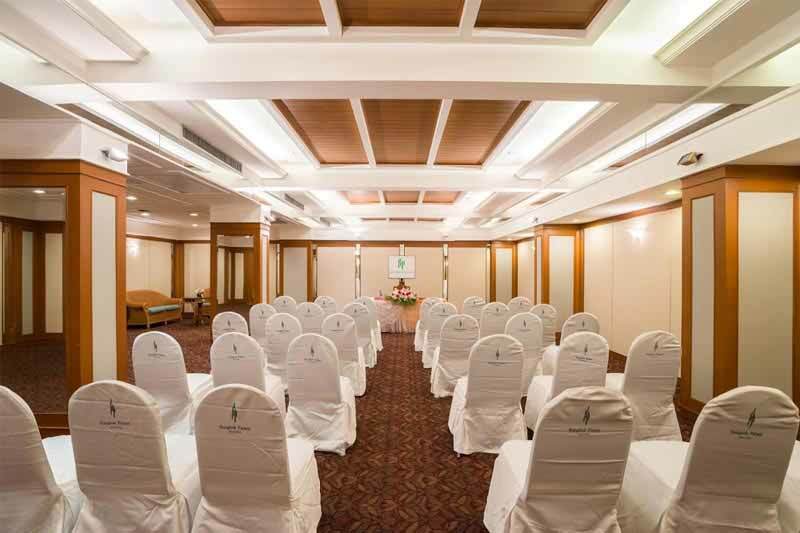 One can even head to the beauty salon, located within the hotel premises. 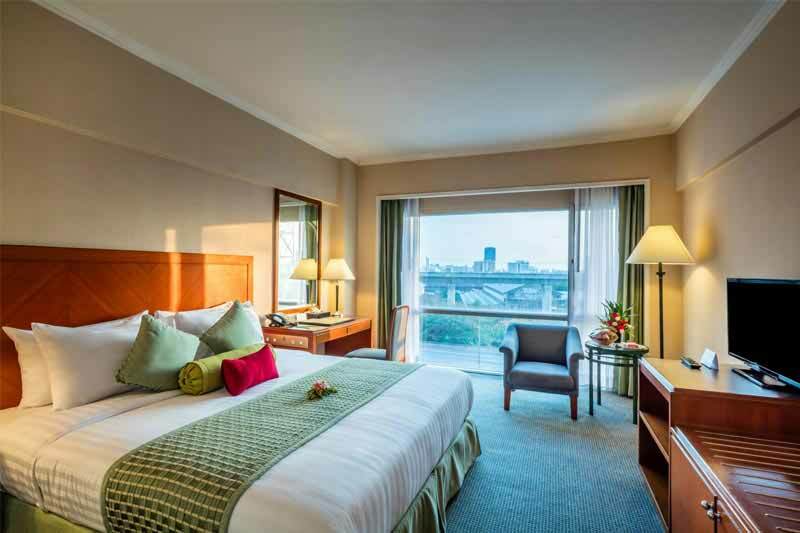 For a unique shopping experience, travelers can visit the nearby located Central World, The Platinum Fashion mall and Terminal 21 shopping mall. 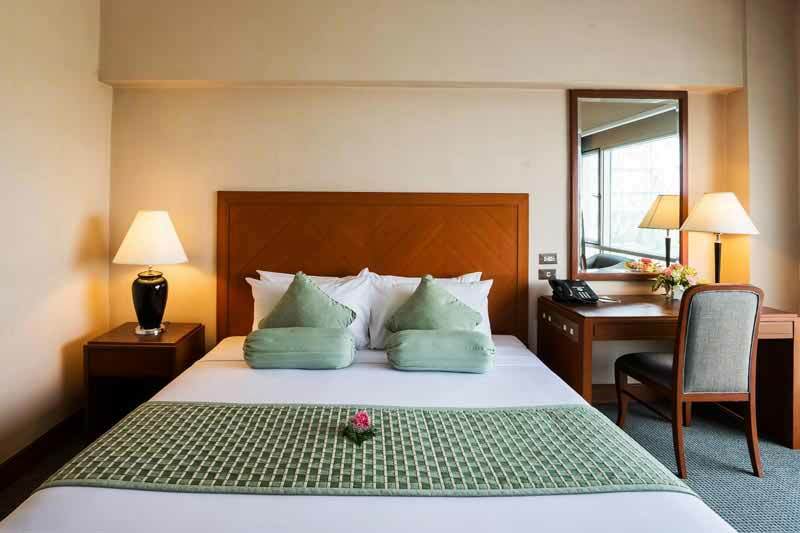 Yes, the hotel provides currency exchange facility for the convenience of travelers. 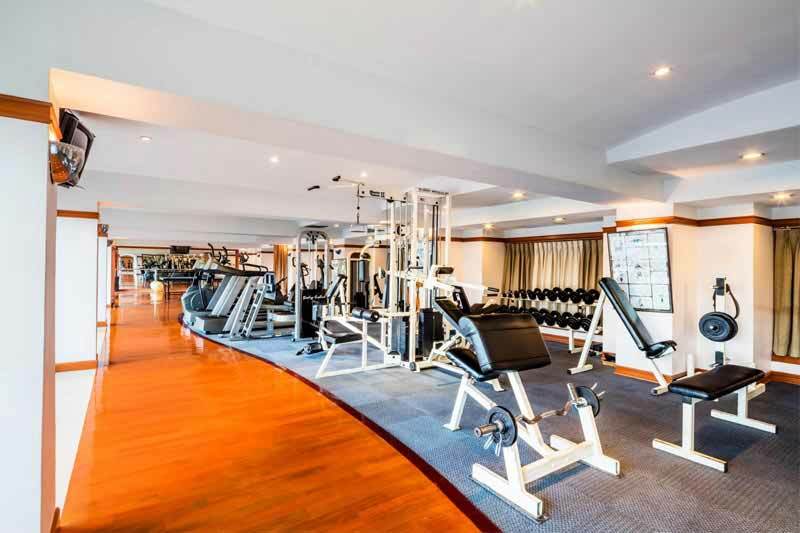 Is there a fitness centrre at the hotel? 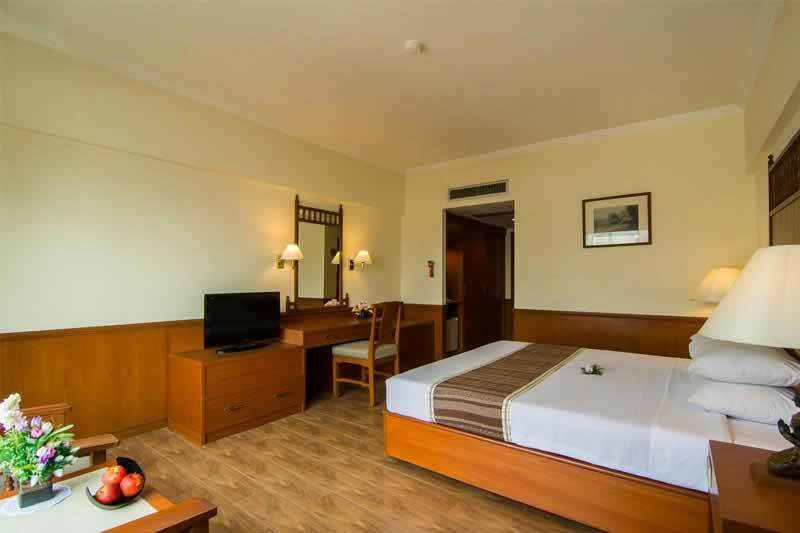 Yes, the hotel has a fitness centre which is well equipped with latest equippments. 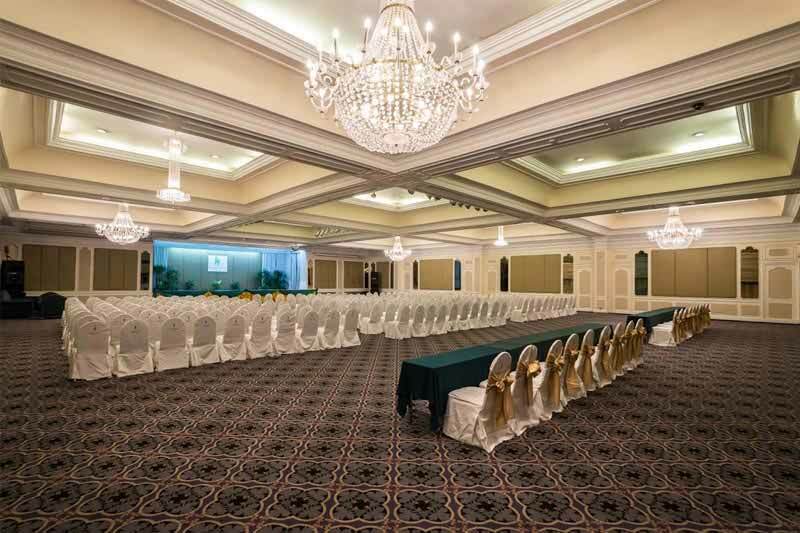 At Bangkok Palace Hotel one can engage with a unique and magnificant experience. 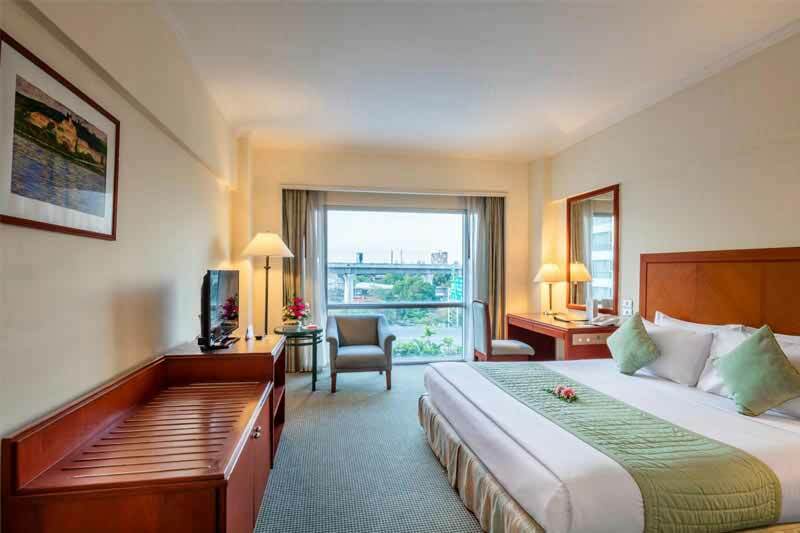 Located near Airport Rail Link / BTS / MRT and the expressway, the hotel offers an ideal home base for guests looking forward to visiting famous Bangkok temples and museums or exploring Bangkoks greatest shopping haven. 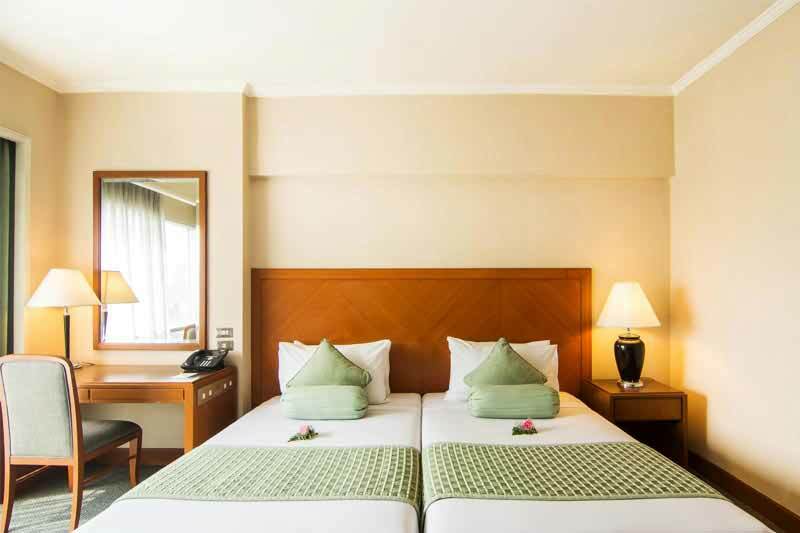 Whether it is the housekeeping service, laundry facilities or 24-hours room service, the hotel caters to every need of its guests. 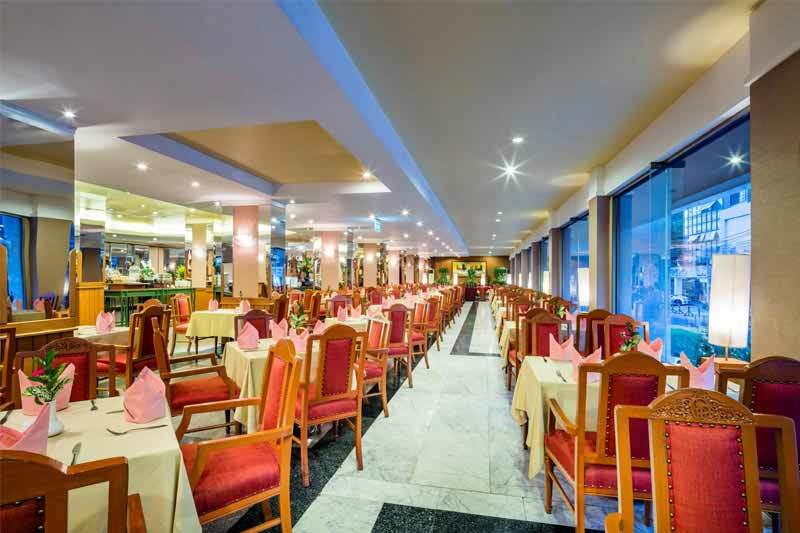 Dining at the on-site restaurants of is a golden opportunity for guests to enjoy a wide selection of cuisines. 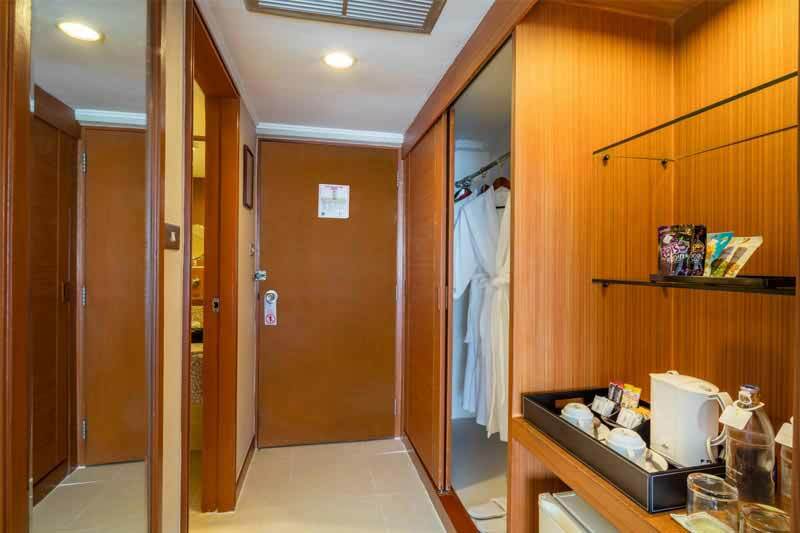 Whether one goes for a refreshing swim in the large outdoor pool or chooses to relax in the sauna room, the recreational facilities of the hotel are truly remarkable. 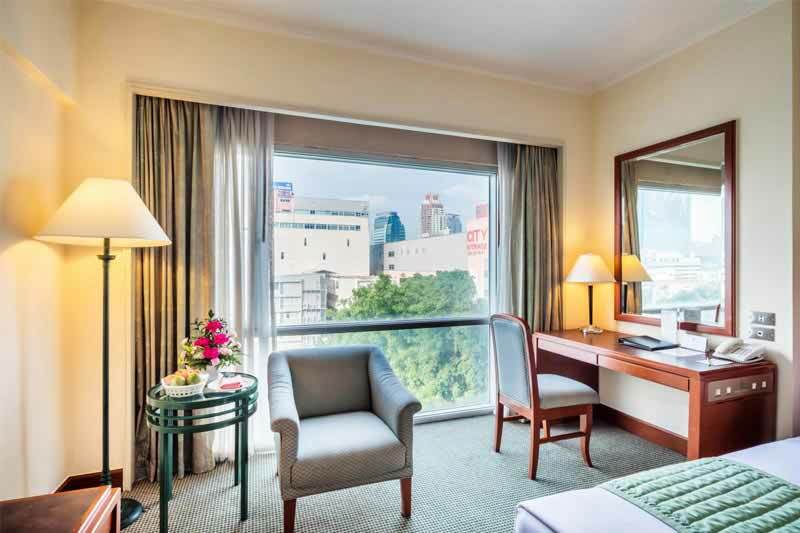 Visitors staying at the hotel will find it easy to access a number of major tourist attractions, including Central World, Terminal 21 Shopping Mall, and Jim Thompson. 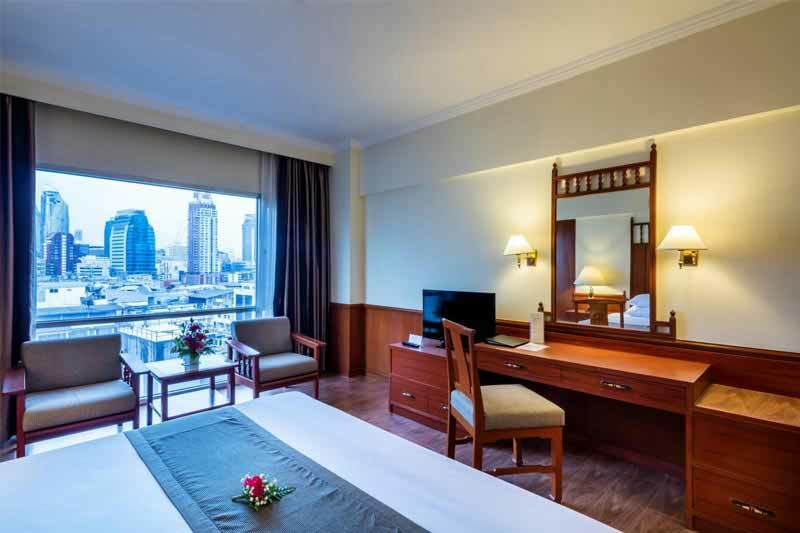 With its various categories of rooms, this hotel is one of the best accommodation options in Bangkok where one can enjoy a luxurious stay at affordable rates.